In just 2 weeks I will be taking on the (exciting? nerve-wracking?!) challenge of running the Bath Half Marathon, alongside family and friends. We will be running for 'The Life Project,' an amazing charity based in Bath. The Life Project has a lifelong commitment to individuals with learning disabilities - creating communities, transforming society and loving life, whilst not forgetting their parents and carers. Their overall objective is to promote and protect the health and wellbeing of persons with learning disabilities and their families in Bath & NE Somerset. It is a privilege to work with this charity, and support them through this running challenge. If you would like to sponsor me, I would be most grateful. My fundraising page is: https://localgiving.org/fundraising/duncan-runs4TheLifeProject-Bath/?fbclid=IwAR1yXTOGg4PAWv0oaFRNoQg67wdciAPtap3FN37bWw8Az87UsR67cfTaUPA. For more info about the Life Project, see https://www.lifeprojectbath.org.uk. Nash and Co, Independent estate agents, are delighted to announce that they have now moved office! They have relocated from their George Street office to new premises in Chelsea Road. Director, Duncan Nash, says “We are excited about moving and being part of a community that I have lived in for over 20 years. It will be business as usual, with the same team, but from this carefully chosen and highly suitable office space, which should cater for the companies needs for years to come. 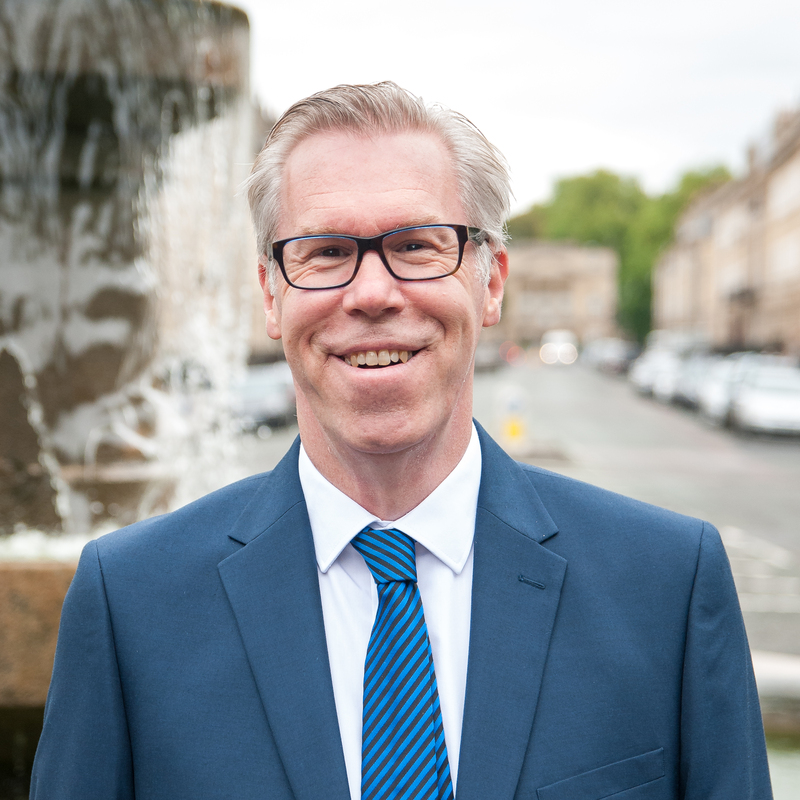 Duncan continued, “With the changing market place, there is no longer a necessity for us to have a City centre office, saying this we will still be open for business to sell properties in the whole of Bath and surrounding villages as per normal”. What a privilege to have been awarded 'Best Sales Branch of the Year' by allAgents for 2018. allAgents is an independent directory and review site allowing clients to write reviews about Estate and Letting Agents in the UK. Their awards rate agents based purely on the reviews they receive over a twelve-month period. Thank you to all our wonderful clients who have partnered with us this year! 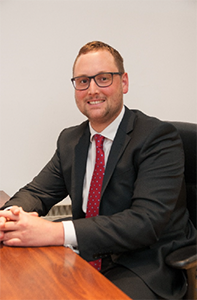 Paul Barlow joined Nash & Co early in 2018 as a negotiator and has a very friendly professional demeanour. He loves the theatre, travelling, watching movies & enjoying the culture of living in Bath. Outside of this, Paul has enjoyed a career in the bookshop and publication industry, living in London for most of his career before moving to the South West. It's great to have Paul on board! Living in Newbridge, I have a vested interest in flaunting this particular area of Bath. My desire to write this piece emerged after reading a Sunday Times article last week, in which Newbridge was named under the title “best places... for capital growth” in the UK. Suburban life is based around the popular Chelsea Road, with its unique collection of shops, hairdressers, cafés and restaurants. Included in this is a Thai restaurant, pizzeria, bakery, grocer, deli and café amongst others. One only has to pass by this road on a typical Saturday morning to get a feel for the thriving community that exists within its parameters. Cyclists gather together for a well-earned brunch at Chelsea Café after having met outside the first class bike shop Cadence earlier that morning. I, for one, am familiar with this! Newbridge offers an optimum location for all kinds of people and paces of life. The city centre is within a 20-25 minute brisk walk away, as are rolling green fields. 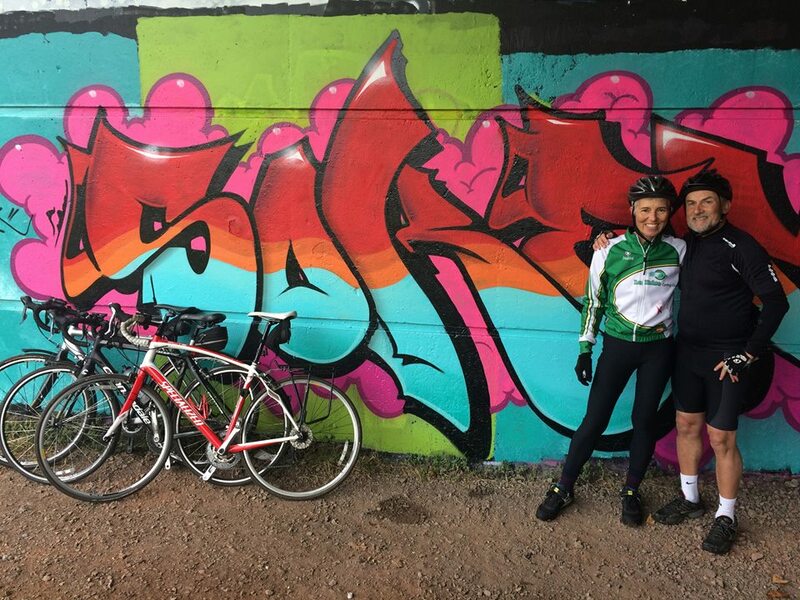 For those who prefer to travel by bike, the cycle path offers a convenient access to the two tunnels cycle path, and to Bristol and beyond. Closer by are the conveniently accessible Royal Victoria Park and Royal United Hospital. A 5-10 minute walk and one can enjoy a pint by the river at the Locksbrook Inn, or reach a larger supermarket. Commuters can also walk to Oldfield Park train station. This area has an attractive collection of mainly Victorian bay-fronted family houses, marking an area with a rich eloquence. Newbridge offers a warm and welcoming neighbourhood, with more affordable house prices than the centre of Bath, yet does so without detracting from the character and charm that makes Bath so special. For those who know and love Bath, there are many other fantastic areas to live in this fine city, too many to mention here, but none the less, it is great to be able to celebrate the benefits and virtues of Newbridge this time around. I visited a house today, on a market appraisal, which had been immaculately presented by the current vendors. The property had a wealth of original features, and others that the vendors had installed which were in keeping with the period and size of the property. There were two features that really struck me and gave me joy. The first was the original Victorian fully tiled hallway, which ran from the front door, through the entrance vestibule and beyond. To the potential buyer this is a lovely and welcoming introduction to the house, especially when they say that applicants often make their mind up about a house in the first 10 seconds of entering the home. The second charming original feature and piece de resistance was a stunning black marble fireplace located in the lounge, with white veined surround, a real stunner and a wonderful focal point for the room. Add to this the details and intricate cornice ceiling in the main reception and you are well on the way to grabbing the applicant’s attention! So, if you are thinking of selling, why not open any “boarded up” fireplaces and see what’s behind, or lift the corner of the carpet too see what’s underneath, especially in hallways and key show reception rooms. If your house is more modern and lacking in features, do not despair. Many people also like a modernist style home, which is uncluttered, light and giving off the feeling of space. I have seen some wonderfully presented modern homes where the vendors have added some nice attention to detail with, for instance, “designer style” door furniture and house names, or fittied quality doors with modern chrome door accessories, as an example. Like many things in life, if you do your research and preparation, taking the best from each “similar style of home“ you see, then you can’t go far wrong. FEBRUARY 2018 - Has the stamp-duty cut brought more first-time buyers to the property market? The change in stamp duty was projected to save four out of five buyers (nationally) up to £5,000. Looking at the Bath market in isolation, previous to November 2017 we witnessed little first-time buyer activity. Unfortunately, post November, we have not seen a great upsurge in fresh first-time buyers – however these are early days. The average house price in BANES is currently £328,498 (Land Registry House Price Index), which requires an average 17% deposit of £55,844. Compared to the average first-time buyer deposit of £25,652 across the UK, the maximum £5,000 saving on stamp duty looks far less dramatic in Bath. Although nationally the general trend in house sales appears not to have improved, the market can flip round quickly, and the spring is often a catalyst for change in the world of property sales. by a first-time buyer) would have been liable for a stamp-duty payment of £1,660, but now a first-time buyer will pay nothing. Traditionally the period from January until late spring is the busiest time for those looking for homes. So on a positive note, it is only early days at this stage of the year, and we have seen signs of optimism in the market, with more valuations and the promise of new instructions. A fresh supply of housing stock will have an impact, bringing new buyers to the fore this spring, which is essential, and it is still feasible that the stamp-duty changes may help incentivise house-hunters into committing to a purchase. With the average house price in Bath being high, it may be that the surrounding areas benefit and report solid growth in first-time buyer activity. Certainly I know of first-time buyers who have made the commitment and purchased in Bristol recently. In conclusion, even if there aren’t high levels of first-time buyers in the Bath market, any positive property news such as stamp-duty reductions are likely to play a role in bringing back confidence and regenerating the market. Estate agency in Bath is a varied beast, the mixture of people and properties is fantastic. As well as the people you meet, it’s the city you get to see; from high and low, east and west, north and south, Bath is a wonderful place to live and work in. The Georgian splendour of the northern slopes to the Victorian terraces of Oldfield Park - Bath has property in all shapes and sizes. There really is something for everyone. The properties themselves are what makes this place so special. Sometimes, when we’re having a quieter day, my colleagues and I might head out on a mail drop, delivering leaflets to areas of the city where we’ve had success in the past, or perhaps looking for pastures new! These strolls around the different neighbourhoods give you a chance to see property up close, and to appreciate the little details which create the individuality of each home. The decorative letter boxes and door knockers of Camden, the beautiful patterned brickwork in parts of Lower West and Bathwick, or the balconettes and decorative pediment of our Georgian crescents (of which there are 7 in Bath, can you name them all?). I think you need to be a bit of a property geek to really get the most out of estate agency. The privilege of seeing the city from a collection of angles and vantage points that most other people don’t get to experience doesn’t grow old. And then there are the people who we have the pleasure of working with and for. I always like to make sure our vendors know we realise they’re the ones in control and we’re working for them; someone’s property, often their home, is generally the most valuable things any of us will ever own, it must be treated with respect. Getting someone moving along the property ladder is an exciting and fulfilling achievement. There are often trials and tribulations to be overcome during the sales process, but with good communication and some negotiation there isn’t much that can’t be overcome. Negotiating to initially agree a sale, and then seeing it through to completion, can be where a good estate agent really earns their fee. 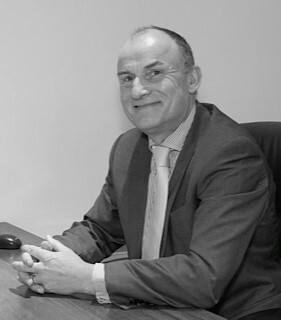 It is with great pleasure that we welcome Paddy Bruce into our team this month. Paddy has been with Nash & Co since February, in a work experience role. Since then, he has continued to develop into a hard-working and keen sales support administrator, of which he is an asset to the team. Paddy is a determined sports enthusiast who has a keen interest in tennis, rugby and travelling. He is full of energy and willing to turn his hand to anything that comes his way. He is a people person, who loves to interact with anybody, as well as being a committed and adaptable individual, with an outgoing personality and friendly demeanour. 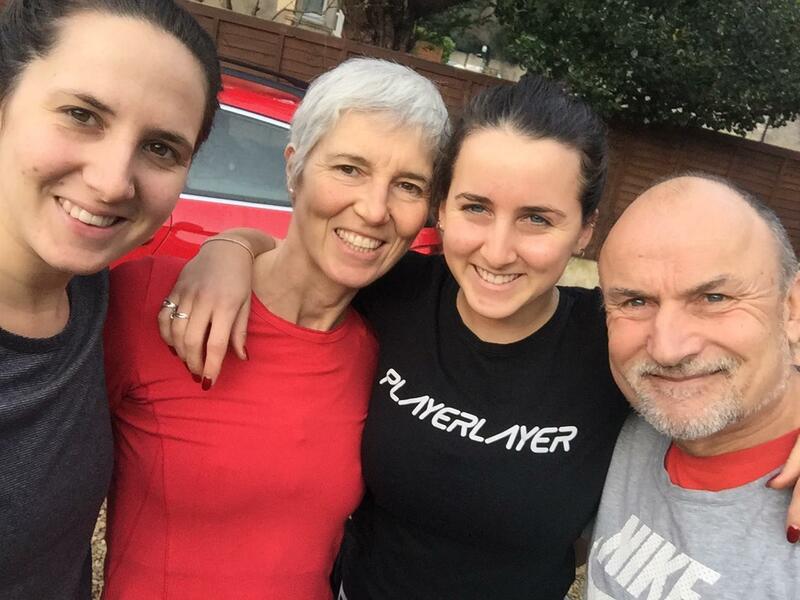 He has coached tennis for the past 5 years, going from Somerset all the way to New Zealand, teaching him the importance of determination and communication skills. The day has arrived! 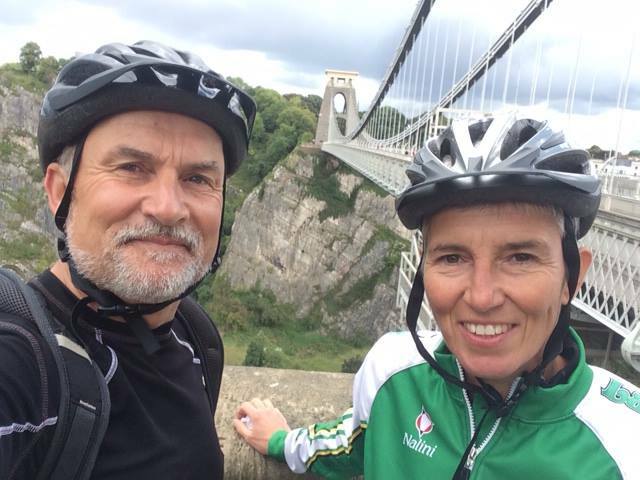 My wife Philippa, and I, are about to undertake our charity cycle ride down through France, starting at Versailles and finishing in Lourdes, a total of 560 miles in aid of a charity we have been involved with for some time, called HCPT. The charity takes disabled and disadvantaged children and adults on a holiday to France every year, which also gives their carer’s and parents a well-earned rest. You can check out the charity http://www.hcpt.org.uk/ if you are interested. All the training is now over and it's time to start... I aim to get out a blog out with some pics and a summary of each day of the cycle for those who are interested, over at http://nashtroop.weebly.com. Thank you to all who have supported, encouraged, and helped us along our way. See you soon! How and when did you get into the property business? After studying Sports Management at College I soon found out, when I entered the job market, that the leisure industry was still in its infancy. I ran a hospital swimming pool for a while before realising that I needed to get a career with a future. Why estate agency? Well for no other reason other than I had a good friend who was an agent in the South West. Jamie was enjoying his career so it inspired me to give it a go. I was living in North London at the time, so one day I walked up Green Lanes, through Harringay, past Turnpike Lane and into Wood Green asking each estate agent in turn if there were any openings for a trainee negotiator. Eventually a company in Wood Green called ‘Haviland Estates’ decided to take me on. That was March 1986, the rest is history. Following this experience I have always had empathy for people who have walked into my office off the street asking for a job, it does take some guts. What significant changes – for better or worse – have you seen in that time? As I wrote in a previous edition of the Bath Magazine, I have seen very many positive changes in the industry, which in my opinion has led to a much more professionally regulated service, benefitting both sellers and buyers. At Nash & Co we take our job seriously and pride ourselves on trying to get the best price for our clients. We work to communicate effectively with all parties as swiftly and accurately as possible throughout the process. We recognise selling and buying a home is a complex and (sometimes) a particularly stressful time. We try and work hard to build bridges and solve problems so that everything goes to plan. Other big areas of improvements in the industry include the quality, scope and breadth of marketing that is now used, especially with regards to the web and the growth of property portals, social media, digital photography and floor plans. Likewise, the use of email communication, which enables us to communicate rapidly and effectively, be it with sellers, buyers, related professionals and customers in general. A big irritation for us ,and I am sure many others, is the length of time it takes for a sale to get from offer stage to completion, it certainly feels slower than it used to. Another disappointment over my 30 years or so, is that the system we use for buying and selling homes in England and Wales has not got any easier or any more full proof, and still provides all concerned with a degree of uncertainty over a period of months until an exchange of contracts is reached. And what changes in Bath have you welcomed, or regretted, over the years? Overall, I am excited to say that the City seems to improve year on year, how lucky we are. The regeneration programs that continue to take place have given Bath’s residents and visitors a thriving City to live in or visit - one that we should all be delighted with. On a personal note, I was really pleased with the SouthGate complex, which offers an attractive first point of contact with the City for those coming to Bath by train and coach. Likewise, I always think Bath does Christmas well, and I enjoy the German market in December, it feels festive and sets me up nicely for the Christmas period. Adversely, I think there have been some missed opportunities, firstly the Riverside development to me is somewhat architecturally uninspiring, secondly, I believe the City should have taken up the opportunity that was offered by James Dyson to develop the Bath Design College in 2008. Lastly as a Bath rugby fan, I see the club, its ground and supporters as a wonderful financial benefit and further opportunity to boost the City in the future. What’s going to happen in the property market in the next 12 months? It’s difficult to predict, after all, who could predict what happened last year! Stamp duty reforms for second home owners and Brexit had a massive impact on the market and threw the seasons into turmoil. The year, which started off well, turned out to be a difficult and unusual one in many ways. We certainly have been a lot busier at the outset of 2017, so my present thoughts are, that a year of steady-to-good business levels, with a modest percentage increase in house prices, are to be expected. The flow of more people moving into Bath year on year from out of town will I believe be a continuing trend. The foot traffic through the Nash & Co website currently tells us that only 35% of people who ‘log on’ are from Bath with 22% from London and 12% from Bristol. Personally, it would be great to see more Bath folk able to buy and move within the City, especially first time buyers, but I am aware that prices restrict. Tell us a bit about what makes your team special? I am so lucky to have a GREAT staff team, who have worked with me for some time. For instance Kate is now celebrating 10 years working with me as a senior negotiator, Simon another senior negotiator for 4 years, while Alex who is an experienced agent, has just joined the team from another agent. One of my backroom staff, Sylvain, who is our marketing assistant has worked with me for some 15 years. Outside of this we have a number of top quality property related business associates, including a professional photographer, EPC surveyor, land and development broker, financial advisor and a business improvement coach, all of whom are handpicked and bring a special something to the mix. It's a real team effort at Nash & Co. I love my team’s positive nature, natural enthusiasm and willingness to go the extra mile for our clients and customers. I am very grateful to them. As someone said to me, “there is no I in team”. Do you have a favourite street? I am passionate about Bath, Weston & Newbridge in particular, as that is where I live. Church Street is a row of modest terraced period cottages, not necessarily high value, but on the Cotswold Way and overlooking Weston All Saints Church. I often think this would be a nice tranquil road to live on later in life, I also love Tennyson Road in Lower Weston, which is situated close to Victoria Park, not so much for its size, but more for its location, style and character. There are many candidates, but in relation to my agency career, two come to mind: first having gone through two property crash’s - the first as a manager in 1990 to 1993 and the second as an employer in 2008 to 2009. I have been fortunate to not have had to make any staff redundant or even cut anyone’s hours. As an employer, having staff rely on you for an income is a big responsibility. Secondly, to be able to serve all the clients who have trusted me and my team over the years, this is an immense privilege. There is also something strangely humbling about being asked to step into people’s life and give them advice on a property related matter. On a more personal note, I am also proud of myself, that after three decades in the industry, I am still keen to learn from others and I am highly motivated to go into work every day, even working late when the calls need to be made. Anything that you can look back at and laugh about now? I also had a lot of fun as a young trainee negotiator in London back in the late 1980’s, the market was vibrant and we were kept really busy. Seeing lots of properties and carrying out numerous viewings meant that you got to meet many different people and experience many differing situations, some of which appealed to my (then immature) sense of humour.. It was also a time when many large houses were being converted into flats and sold off. Many refurbs were carried out by inexperienced investors who had little idea on how to get the balance right on presenting an apartment to the market to help achieve best price, or even to tempt the applicant into making an offer. The time I spent as a young negotiator putting up ‘For Sale’ boards outside new instructions (it’s all carried out by contractors now), and the poor-quality marketing material we produced back in the day come to mind instantly! What moves you to move house? I am not one who needs to move every few years and have currently lived in the same house for 20 years. Our home provides everything we require including some excellent neighbours. However, if were to move, it would be a difficult decision as I prefer the City and Philippa (my wife) would like to live in the country. For many people, starting a new job is a daunting experience. You don’t know how you’re going to be received by your new colleagues; you’re unsure how the team works and what processes they use; you’re worried about making mistakes and not being taken seriously as the “new boy”. This can be especially daunting if you are starting afresh in a new town or city. For me, however, that wasn’t the case, as even though I was starting in a new market, I was warmly welcomed into the team by my colleagues, had all the processes explained to me thoroughly and am respected for the experience that I bring to the team. Having spent my entire life living close to Bath, I know the city well. 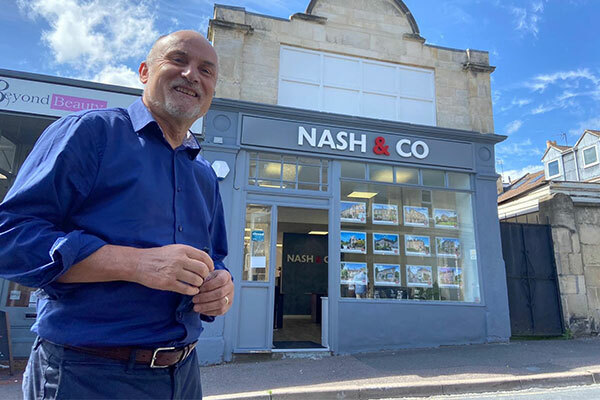 I started my career in estate agency elsewhere, which enables me to bring a fresh approach to my new position as a Sales Negotiator at Nash & Co. I’m just about to start my third month in Bath and to say I’m loving it would be a massive understatement. In my short time I feel I have settled right in making new contacts, getting to know all our wonderful vendors, and meeting several applicants on the doorstep. I would have to say that the one thing I’m loving now is being able to learn about parts of the city which I have little to no experience in before. We must remember, as agents, that when you become familiar with your surroundings you can become complacent, so need to make sure that you’re being pro-active and always looking forward with a positive mindset. After all, you never know what tomorrow may bring. What first captured me about Nash & Co, even before my first day in my new role, was its fantastic team ethos – all working together like a well-oiled machine. It certainly helps knowing you’ve got support when you’re working in what can be a stressful business at times! The next quality that struck me was the attention to detail that is applied to all areas of the business to make sure that all properties and, more importantly, vendors and buyers, are being looked after. The final quality which I’m going to mention is something that money simply can’t buy – experience. Between Duncan, Simon, Kate, and I we have over 50 years’ experience in dealing with the sales and purchases of properties. I see that as a mark of quality and one of the many reasons which should put us at the top of your list if you are thinking of buying or selling in the coming weeks or months. One of the questions I believe you should be asking yourself (if you are thinking of selling), is how do I get the possible best price for my home? In bringing your property to the market you will, I am sure, get at least one valuation, maybe more, before agreeing a price with a preferred agent. Then, the marketing begins! This is a great start, however I do believe that the effort you put into your home before marketing, in terms of presentation, is crucial and firmly linked to the end sale price you achieve. As agents, we have a big responsibility to our clients to achieve our best price, but I also believe our clients have a responsibility to themselves and to a lesser extent their agents, to present the house to the market as best as they can. We are, after all, dealing with your biggest asset! So, rather than swamp you with several ideas, here are three top tips which may be of help to you, from my experience as an agent for thirty years. First, be proactive and start to de-clutter your home as soon as you start thinking about moving. Sometimes you may need to be ruthless, thinking “will I ever use this again”? Also, look at your current furniture and think “what will we not take with us?” This could be a great place to start, so why not dispose of unwanted furniture now, rather than later? Secondly, think of your home as a show home for future viewings when you are on the market and try to present your home beautifully, to the widest audience possible (even if it’s not necessarily your taste). An example would be to use fashionable and lighter colours around the house, rather than more personalised colours. In addition, have complimentary bed coverings and curtains which don’t look like they have seen better days. Buying “Home Lifestyle” magazines are a good starting point. Lastly, complete a thorough snagging list of your home and get through as many of the points on the list as you can. If a viewer can not see anything that requires attention or needs upgrading, then you are more likely to get a full asking price offer. On the flip side, the viewers will take any perceived work into account when they offer. If you have found the above helpful and would like a more detailed discussion on how Nash & Co can help you achieve the best price in 2017, then please do not hesitate to call us on 01225 444800. As you read this blog in early 2017, you may look back on 2016 fondly, or possibly as a year that you are pleased to see the back of, for one reason or another. For those in business, like me, you may feel the latter. Though not dull, it is fair to say that 2016 was a turbulent year. You may therefore wonder, after the dust has settled, what state the property market is in now? Let me first cast your minds back to the two key events this year that impacted hugely on the industry I am privileged to work in. Firstly, the significant increase in stamp duty for second homes owners. From 1 April 2016 anyone buying a second home for any reason is now paying a higher rate of stamp duty than someone buying a property which will be their main home. The increased rate is 3% above the usual stamp duty rate which can prove to be a significant financial burden. This, in turn, naturally led to a significant increase in investment sales pre-the 1st April, which in turn led to many people completing their buying and selling business by this time date. More importantly, it took the heat out of investment sales for the rest of the year and the impact may still go on further while the increase is in place. Then there was the Brexit vote on the 23rd June - we all know about this one! A vote which sent shock waves around not only the UK, but the world. There was bound to be some impact on the housing market, either positive or negative. What it did do was generate uncertainty, and in my opinion led several potential buyers and sellers to sit on the fence while they and the rest of the markets worked out how Brexit would impact. Well six somewhat difficult months further on and it seems, from my perspective, that the market has settled somewhat. The excellent news is that the end of the year has been busy for Nash & Co with a spurt in the number of instructions coming to the market and likewise the number of sales. It could be just the market playing catch up, or perhaps just signs of “the show must go on”. More hopefully, it could be that confidence is slowly and surely coming back to the market. At Nash & Co we will be geared up for a strong start to 2017, especially as we still have a good database of committed applicants looking to move in the Bath area. If you want to be part of this, then please do not hesitate to call me at Nash & Co on 01225 444800 for some further advice on any area of the property market you are interested in. Wishing you all a healthy and prosperous New Year. I recently read an article in The Telegraph that said estate agents were only trusted by 11% of the population and were the fourth most distrusted profession behind bankers, journalists and politicians - hardly an accolade. Having worked as an estate agent for over 30 years, I have had to suffer many derogatory comments (not often aimed at me!) about estate agents, and how disliked they are. I have even been introduced, by a good friend, to someone I do not know as “this is Duncan, he is the captain of our sports team”, not “this is Duncan, he’s an estate agent.” I often wondered if my good friend was too embarrassed to say? But are all agents still the same as, say, the class of 1986? Have there been no real changes or improvements made in the industry? If so, is it still fair to use throw away comments such as 'never trust an estate agent'? When I was a young trainee agent learning my trade in the late 1980s in North London, there were ultimately some sharp practices going on. I remember being asked by my manager to drive around Highbury and Islington, looking for suitable places to erect a ‘For Sale’ sign. A favourite used to be where there was a block of flats with one or more for sale boards already outside the block. From memory it was called flyposting, and its practices lie firmly in the late 80s as far as I am concerned. To speak up for the modern day real estate business, I believe a lot has changed and for the better. At Nash & Co we are members of a re-dress scheme called the Property Ombudsman, should any clients or customers have a grievance. We are also, by choice, members of the National Association of Estate Agents, enabling us to demonstrate transparency and ensure that we are at the forefront of developments in the industry and to provide the very best moving experience to our consumers. As far as rules and regulations go, since 1979, we have been governed by the Estate Agent Act, which advices us legally on how we should act. However, we now also have to comply strictly with Anti Money Laundering, Regulations, Consumers Protection Regulations, Data Protection Act and the Equality Act amongst others. These Acts and Regulations help form how we practice, and provide the backbone of how we work. It is important for you - the customer, and it is important for us - as agents, to know the rules of the game and abide by them. It is, after all, a more litigious society, where we appear to be encouraged to complain rather than praise a service. Where there have been huge leaps and improvements is in customer service. At Nash & Co, it is a drum we keep beating to each other, one centred on feedback and communication, being courteous, respectful, fair, honest and straight down the line. 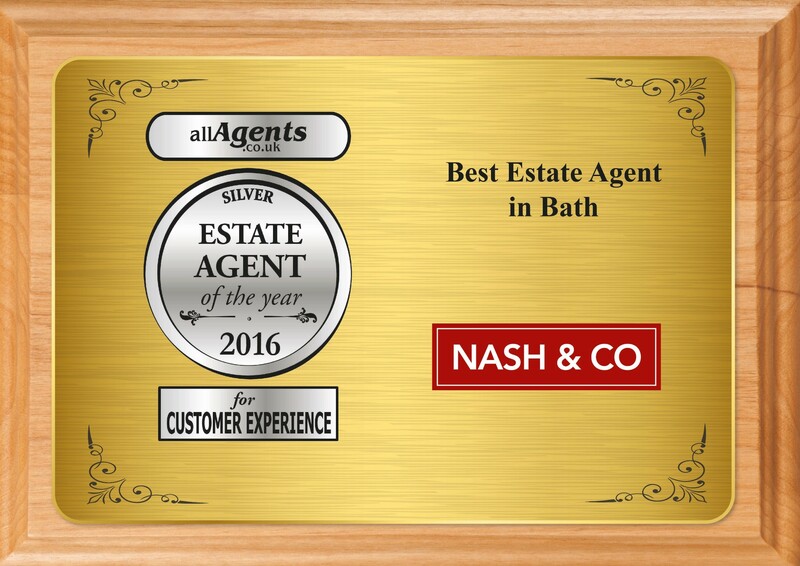 Nash & Co are trying to improve year on year, and we are really proud to win a silver award for "Best Estate Agents" for customer service in the Bath area in 2016. I would also like to take this opportunity to say that there are many good and excellent agents in Bath, who provide stiff and healthy competition. If you get to use an agent in 2017, I hope it’s a great and wonderful experience and in some way helps to change your perception of what and how we do things. Nash & Co warmly invite you to their Property Evening, on Wednesday 7th December, 5.00pm to 8.00pm at our City Centre office on George Street (with easy parking nearby in the Broad Street car park). Professional advice on the cost of moving and the conveyancing process. Mortgage related advice from Alex Veale of City Financial Planning. The sales team of Nash & Co will also be on hand to update you on any new instructions coming to the market place, either now or in the new year. With limited spaces available, contact us now to book your designated appointment on 01225 444800. 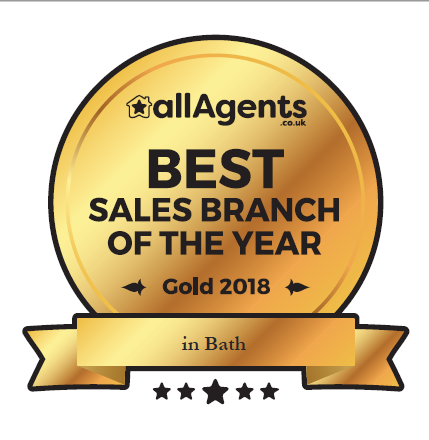 What a great week it has been for Nash & Co after being awarded the “Best Estate Agent" for customer experience in the Bath area, in the allAgents.co.uk awards for 2016.
allAgents is an independent directory and review site allowing clients to write reviews about Estate and Letting Agents in the UK. Their awards rate agents based purely on the reviews they receive over a twelve-month period. “Customer service is vitally important to us at Nash and Co and this has been reflected in our clients and buyers comments on the allAgents website. It is naturally a real pleasure to get this award and indicates that we are on the right track” commented Company Director Duncan Nash. My first month as an estate agent has been fast-paced and exciting. Bath is proving that there are so many great characters out there to meet. I have really enjoyed meeting new people on such a regular basis; everyone has a different story to tell in relation to who they are and what they want, and how we can help them along their journey. I must admit, I have been speaking to some clients more than some of my friends and I am forming strong and genuine relationships with these people. I find it exhilarating each time I go into a property. The variety of character a house or apartment can have fascinates me; from the era it was built in, to its historic features, there are no limits to how different each property can be. Pre-Nash & Co., I already held a love of period properties, but had only had the privilege of being inside a handful, until recently. I have already learnt a lot from the thorough training I have been given by the whole team at Nash & Co. and the invaluable on-the-job experience. They say being thrown in at the deep end is the best way to learn and I cannot deny that! I’m extremely grateful to my colleagues and will continue growing my knowledge of the Bath property market. Simon, Kate and Duncan have made me feel very welcome and are fantastic mentors. I have grasped a solid basis on how to be a top estate agent who goes the extra mile for their clients. 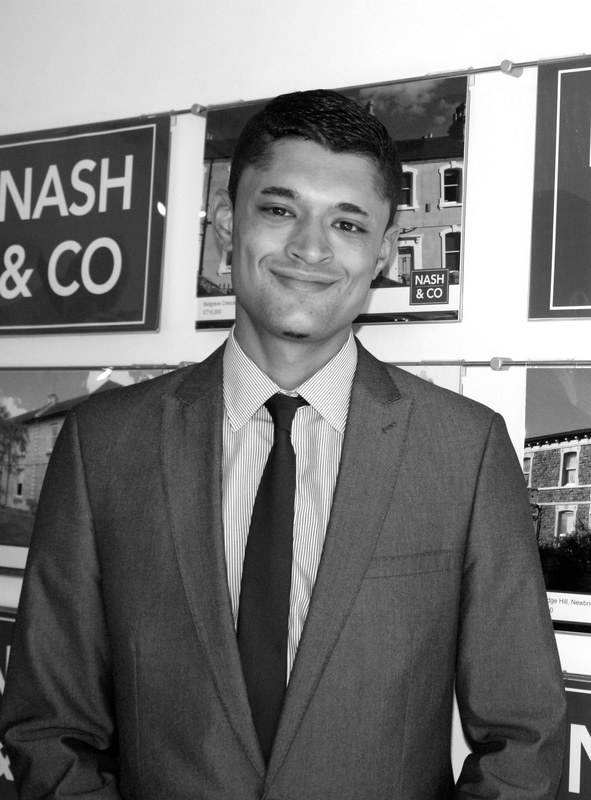 I can honestly say that Nash & Co. is a reputable estate agent with high standards for their customers and I am proud to represent their company. As agents, we often rave about our history and the wealth of fine Georgian listed properties that Bath boasts - period elegance at its best! But what about the Victorian properties that form a key and integral part of the make-up of our property stock, both in the city and throughout the country? The ITV drama “Victoria” has thrown many of us back to the Victorian era again and in particular the beauty of the homes the Victorians built. Victorian architects were certainly put through their paces to keep up with a growing population at the time; census data reveals that between 1831 and 1901, the population of England and Wales increased by over 18 million (an increase in excess of 130 per cent). Homes were needed at this point of time in history in abundance! It is therefore a credit to the architects and builders that not only were they built in abundance, but Victorian homes were built to last. This was part helped by the improvements in building technology at the time, such as using clay pipes for drainage. With the progress made, many homes were built close to key transport links and infrastructures which are still in use today. Housing of this era is often located conveniently close to key areas, such as shops and stations. I for one live in a Victorian house located close to excellent shopping and local amenities, in addition to the Victoria Park, refuse tip, RUH, cemetery and a main road in an out of Bath... what a joy! Victorian residences were not only solidly built, but have many stunning features by design. Indoor features include sash bay windows, stained glass windows, high ceilings with intricate cornicing and ornate fireplaces with patterned tiles. Outside features include striking brickwork with date stones above the door and even ornaments marking the work of Victorian architects, giving the houses much character and charm. Many homes were built in classic red brick, however in Bath, apart from a few examples dotted around the city (i.e. in Ferry Lane), they were mostly finished in ashlar (Bath stone) which also has its own elegance. As well as the build quality and finish, the generous proportions of Victorian homes are particularly popular with families. There is an ease by which they can be extended and modernised, creating large open spaces which the modern day family craves for. Gardens are also often bigger than their Georgian counterparts, facilitating extension projects opportunities as well. There have been figures banded around that buyers are prepared to pay in the region of 10 to 15 per cent more for a Victorian house than a modern one, which may well be true. In my experience, the key to achieving this is to keep as much of the original character and charm as you can. Nash & Co are committed to giving to charity, and this year they are supporting HCPT - a charity that takes both adults & children with special needs away to Lourdes in France. 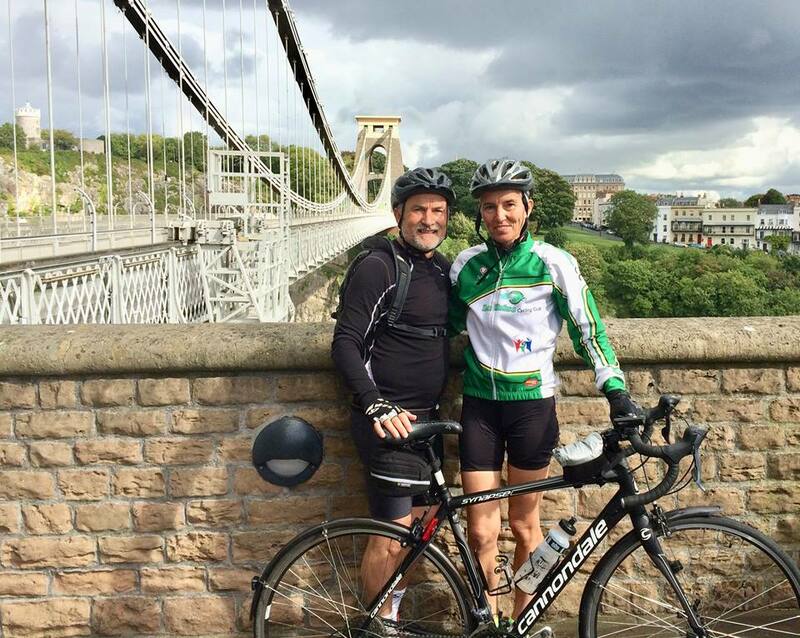 In an endeavour to raise money for HCPT, I will be cycling, along with my wife Philippa, from Paris to Lourdes next April. This will involve cycling 100 miles a day, for 6 consecutive days! We are hoping to raise £4000 and would really appreciate your support. 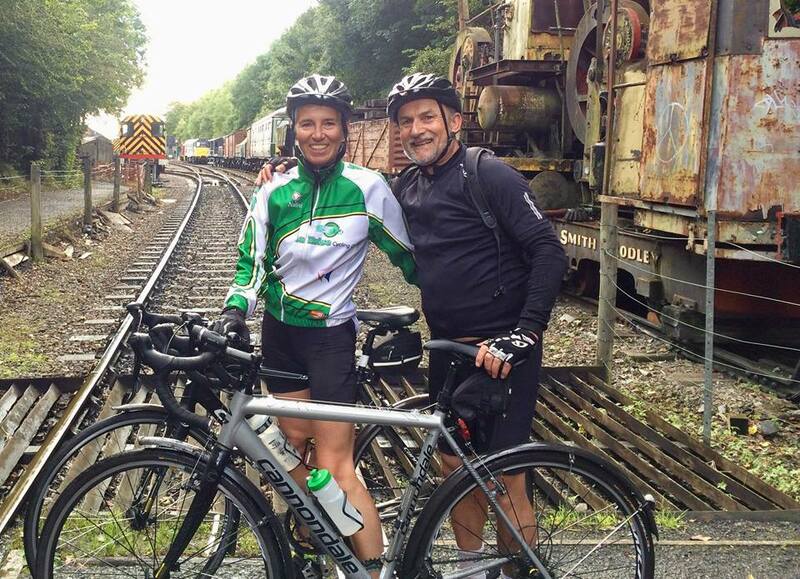 If you feel you would like to be part of the adventure for this wonderful charity, then we would be very grateful for your kind donation which can be made via https://www.justgiving.com/fundraising/HCPT-cycleVersailles2LourdesEaster2017. SEPTEMBER 2016 - Ready For Lift Off! I often think what a wonderful place Bath is to live in; we are truly blessed with stunning and beautiful architecture which surrounds us in abundance. Our forefathers certainly knew how to build houses! The population of Bath are not only fortunate aesthetically, but wider afield the City captures the imagination of many other folk located all across the UK, and internationally. It has often been said that Bath has its own property “micro climate” which appears less adversely impacted by National property slumps, in comparison to other towns and cities. So, after a testing 'post-Brexit' summer and with families enjoying a well-earned break, it is good to hear that there are ever increasing positive signs in the Bath property market. I am confident that as we enter what is historically known as the 'busy' Autumn season (second only to the Spring market) and as the leaves begin to drop off the trees, that the property market will start to grow in confidence again. In fact, we are already noticing positive signs that the brakes are off, with multiple offers and over asking price sales being achieved... I can report of two this very week as I write (It is Tuesday!). It would seem that the dust of the referendum has well and truly settled behind us, as viewing numbers and general enquires continue to increase. Likewise, increasing numbers of homeowners are starting to invite Nash & Co out to value their prized assets once again, with many going one step further and asking us to sell their homes. Normality seems to have returned to the market and our 10-12 hour days are yielding the results our effort was intended for. It is with confidence that I write that now is a great time to be selling! Will you be looking to sell before Christmas? This is the time to start marketing should you want to move before the end of 2016. If so, please call NASH & CO on 01225 444800 for a free no obligation market appraisal from your City centre based local independent estate agent. We would be delighted to meet you! SEPTEMBER 2016 - Welcome James! 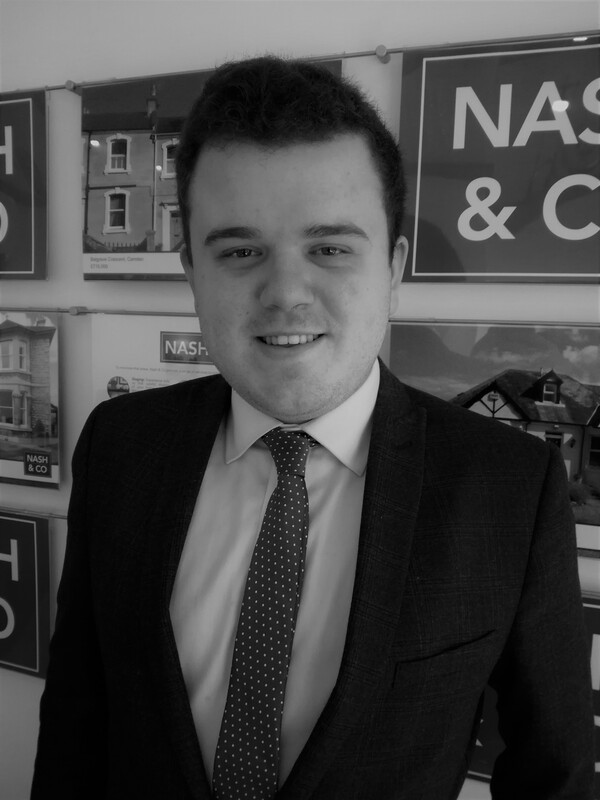 We welcome James Grace who has joined Nash & Co recently and the company are excited to have him join the team. James is passionate about everything he does and comes from a diverse background of customer service and sales. 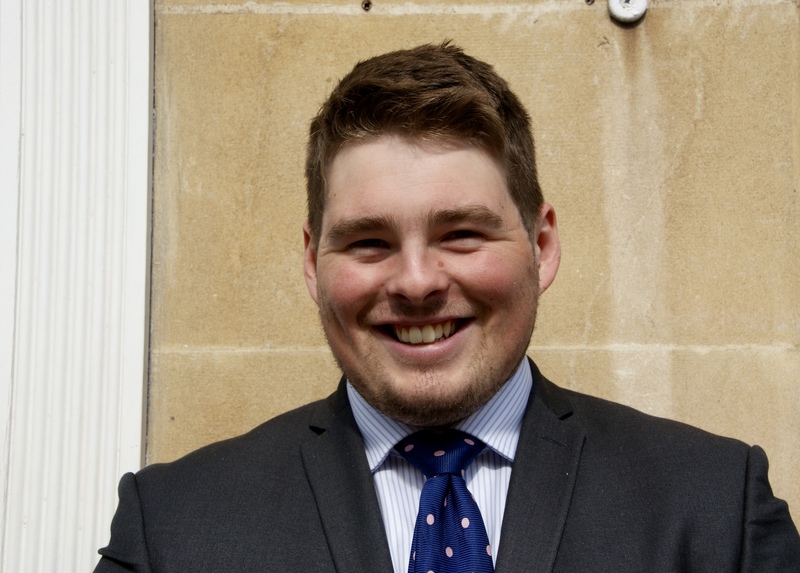 James went to school in Bath and has developed a great knowledge of the area through a natural interest in property. After a year of volunteer work in the Philippines, James returned to Bath to study business, and is now thrilled to join Nash & Co. In his spare time, James can usually be found searching for new inspiring recipes to cook for his girlfriend, or taking scenic photos on dog walks around Bath. JULY 2016 - The Big Move! The day of moving home can seem like months ahead; but it can creep up all too quickly and planning ahead can save hours of stress and rushing around. It’s always a good idea to contact removal companies early on in the process and get some quotes for packing and moving, or solely moving if you prefer to do your own. Their costs can vary immensely and a recommendation by word of mouth can often be invaluable. This is the perfect time to get rid of unwanted possessions - furniture that will not fit into your next home or rubbish and items that are never used or never needed! Lofts and sheds can be cleared, whilst empty children’s rooms who have flown the nest can finally be decluttered! It can all be a very cathartic experience. A few extra pounds can be gleaned from a car boot sale or a venture on ebay. It’s often amazing what people will buy! As the sale progresses and dates are nearer, packing can be started. The removal company will normally supply a good selection of boxes and it is ideal to mark the rooms they should go into with a list of contents on the outside... this always helps later! If you have valuable breakables it may be an idea to get packers in too - they have the knowledge and materials! As well as the packing, a list of contacts to be telephoned is always useful; not only the normal utility providers but also your GP, dentist, optician, council tax and water rates providers, policy providers for pensions and any health schemes or life insurance, optician, vet, DVLC, bank and building societies to name a few, as well as any loyalty card schemes you have joined! The list is never ending but these are a few pointers. It is worth arranging to forward your mail with the post office... A surprise package from a long lost friend would be a shame to miss! A set of keys should be with your estate agent and you can normally leave all the spare keys inside the house on the day of your move. Once D-Day arrives hopefully you are all organised and ready for the off! Last minute meter readings can be done and a “goodie box” with tea and coffee and biscuits at hand to keep removers happy never goes amiss. The removers can do their stuff and you can watch your home disappearing into a lorry! 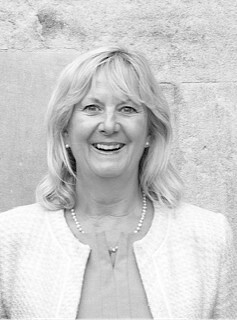 I would like to take this opportunity to write to you regarding our initial thoughts on how the property market is fairing post ‘Brexit’ in the Bath area, according to our experiences at Nash & Co.
For those of you who are considering bringing your properties to the market in the near future but may be a bit wary given our current situation, you will be interested to know that the general reaction has been passive to date; we have had no withdrawn properties from our stock list, nor have any sales fallen through as a result of Brexit, (we even had 3 sales that exchanged contracts in the week following Brexit). The perceived effect of Brexit on people moving has however, been mentioned on more than one occasion by potential vendors, buyers and applicants alike, as you can imagine, but the vast majority are still ‘keeping calm and carrying on’ as it were. In truth, we do expect to experience a slight dip in terms of stock or supply in the not too distant future, however, this is more a consequence of the time of year. It is no secret that the property market is subject to peaks and troughs that correlate with the seasons; the summer months are traditionally quieter as many families are away on holiday. Whilst there may be a dip in stock, there is always a constant level of demand from buyers across the country. I recently spoke to a Rightmove representative who informed me that Bath is the most popular destination being searched in the UK, outside of London. This came as no surprise to me. Bath is a beautiful city, rich in history and culture, making it desirable to those living outside of it. However, what enhances that desirability (especially to London buyers) is that the train lines are being electrified which would result in a far quicker commute to London itself. One local agent has even referred to Bath as the new ‘SW20’ as a result of the waves of London buyers, or those looking to work in London, now buying in Bath because it is more affordable. London will surely see many more of its residents move to our beautiful city. So what will the future hold for the Bath market? Unfortunately, Nash & Co. don’t have all the answers! As always there will be hurdles that the British economy needs to overcome, and it’s always difficult to predict future market trends, but we relish any challenge and will continue to work hard for you and push service standards up in the Bath market. One things is for sure, people will continue to buy property and there isn’t enough to go around. If you have any questions, then please do not hesitate to call. 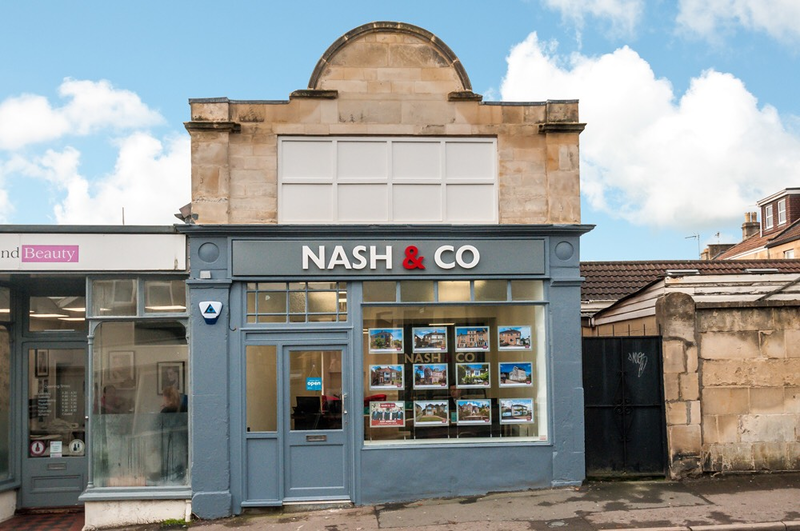 It’s fair to say the start of the year was relatively quiet for the Bath estate agent, as is normally the case in this seasonal industry, but at Nash & Co we were fortunate enough to enjoy a steady stream of instructions and sales. In a market where there was little in the way of stock and - a large and ever present number - it is unsurprising to see an increase in market prices and those properties selling for more than they are listed for. We, at Nash & Co, used this time wisely, dedicating our resources to finding more instructions and providing the best service possible for our vendors, and we proved very successful on both fronts. One need only look at our reviews on All Agents to appreciate the hard work my team put in this year for our vendors, with all but one review giving us 5 stars (the one in question was a 4 star). We also sold some fantastic properties for some phenomenal prices. A prime example of this is the Newbridge Hill property we took on at the start of the year. Within weeks we had secured three offers and eventually sold the house for £50,000 over the asking price after calling it out, advertising wherever we could, and ultimately organising best and final offers. Another Newbridge Hill property, we have currently under offer, fell through earlier in the year and was snapped up in a similar style as a result of our continued efforts. Our marketing, phone outs, and viewings led to our vendors securing a much better price. At present, the market is beginning to pick up. We are noticing an increase in the number of market appraisals we are conducting, a surge in online activity on both social media and on our property portals, and – ultimately - the number of properties we are taking on. In the past 10 weeks, we have secured 20 new instructions, half as many completions, and a further 4 properties are on the verge on exchange and completion thereafter. At the time of writing we also have 8 properties signed up and waiting to come to the market. We are on track for a very successful year and we would love for you to be a part of it. Expect to see many more Nash & Co listings in the coming weeks and yours could be one. Call us on 01225 444 800 for a free valuation. JANUARY 2016 - So you want to become an estate agent? In interviewing people for estate agents vacancies over the years, I am always presently surprised at how many people have a genuine love and passion for property and period architecture in particular. This is a great starting point for those budding estate agents. Estate agency can be a rewarding career, especially if you are good at it. There are opportunities to rise through the ranks or maybe even to set up your very own agency. If you can achieve this, then you should make a decent living. However, estate agency is not all easy, as like most businesses it can be very competitive, especially when the economy is down. Winning instructions in particular is a full time job! Key therefore is the ability to be able to sell - not just yourself, but the company you work for. Tools you will need include excellent interpersonal skills and the ability to get on with all types of people from all walks of life. Other more basic essentials include good timekeeping and appearance and the ability to drive. Estate Agency is a dynamic, fast moving industry which requires a high degree of commitment and energy. Confidence without being arrogant is essential, and having a cool head under pressure is a big help. In you don’t want to be office bound then good news, agency doesn’t require you to sit behind a desk all day! Carrying out viewings, valuing houses or even just taking photographs gets you out meeting lots of very different people. The business also requires few to no qualifications, however people skills are very important, as is having self-confidence and belief. Not everyone meets with the careers advisor and says 'what do I have to do to become an estate agent?' Many fall into it one way or the other. One of my negotiators found himself as an estate agent almost by accident. Starting off in the legal services, then working in a barristers chambers and then in a call centre before eventually landing in property sales. Lastly estate agents over the years have often been given bad press, so honesty and integrity have to be two of the most important ingredients to become a success. DECEMBER 2015 - "Never Tiring of Bath"
Having moved from London over 25 years ago, I never tire of living in this beautiful City! Bath stone is unique and it literally glows in the sunlight. Whether you are wandering around the well-known Circus or Royal Crescent or deviating to a lesser known area such as Cavendish Crescent or Lansdown Crescent, the architecture and flow of the buildings is truly stunning and a sight to be marvelled. I was once told wherever you stand in the centre of Bath you will always see greenery and it’s so true! It really is a compact city and you are never far from all the iconic sights, but in a very short period you can be in beautiful countryside away from everything on a quiet country road with glorious views. Some other favourites of mine include the view from Alexandra Park in Bear Flat, where you can get stunning panoramic vistas over the City, a glorious reminder of the blessings we have on our doorstep. Another is the walk through Prior Park, designed by John Wood the elder in the 1730’s, with its sweeping grounds and stunning Grade I listed Palladian Bridge. If you are moving to Bath and you love history, walking and cycling you have a wealth of exploring on your doorstep; including the Cotswold Way, The Bath Skyline and the Two Tunnels. A book not to be missed that I would totally recommend is “On Foot in Bath; Fifteen Walks around a World Heritage City” by Andrew Swift and Kirsten Elliott. It is an in depth guide to the City; its heritage, architecture and sights. Whether you are here for a short visit or a lifetime, I am sure anyone will glean a huge amount of information and pleasure! Linked in with the Literary festival, there are a selection of walks. These include “Bath in 1766” conjuring up the period of Gainsborough in the Circus, “Walpole lodging near the Cross Baths” and “Walpole preaching in the City”. There is also a Victorian Pub Crawl exploring the Beerhouses and Gin Palaces of the day; finishing in a pub little changed over 150 years. Another interesting stroll will consider the fascinating story of windows and how changes in glass making has affected the architecture in Bath. Finally to mark the anniversary since the last train pulled out of Green Park Station a walk will recall Bath’s lost railway and explore little known Georgian terraces where the hiss of steam was common place! NOVEMBER 2015 - The Bath Market - who is looking? The growth in the number of London buyers has been a topical theme for the last two or three years in the Bath property market. Having previously worked as an agent in Chippenham for a brief spell, I am reminded of the weekly Chippenham farmers market every Friday (since moved to Bristol). In this industry, all the farmers came from across the county and further afield, with their produce, to stimulate the market into life for another week. In a similar way, the London buyers coming down from the great smoke after work at the end of each week has created the same bubble of activity in the marketplace in recent times. Do they help or hinder? London buyers certainly help by providing more quality applicants in to the mix and driving up sale prices with their deeper pockets helped by the higher sale prices in London. All this make it easy for a vendor to accept their offer. On the flip side, by being in the market place, they can make it more difficult for a Bath vendor to find a suitable next step. We have seen it many times where vendors can’t move because they can’t find! How can we monitor where the buyers are coming from? One way is by analysing the foot traffic coming through the Nash & Co website at www.nashandcobath.co.uk. The results provide interesting reading. From those visiting the Nash & Co website, it is clear that the majority of visitors are from Bath (as would be expected), but at only 43% it is a lower figure than you may expect? In years gone by I hear myself quoting figures of 75%! So where do the other 57% of potential buyers come from? The research indicates that a chunky 23% are coming from the London area and a surprisingly a further 17% from Bristol. It’s almost as if the Bath property market has a tri-city target audience, with these three cities, in this case taking 83% of the total market! Looking at this further we can see the importance of the M4 corridor in linking these three destinations together, which is the main artery that links Wales and the South West to London and encompassing these respective Cities. As an aside, some further interesting information, is that the percentage of users visiting the Nash & Co website via a desktop is 53%, with 24% using a tablet and 23% using a mobile device. It is expected that the usage of mobile devices to access not only an agent’s websites but portals such as rightmove is increasing month on month. Of course there a lot of other factors which affect the market research, i.e. season differences, regional variations in relation to our website analysis, what property stock any agent is marketing at any point in time. One would also assume that the higher the property price of any agents stock the more diverse the audience location would be, with more overseas investors in particular. So with faster train times and the ever increasing gap in average prices between Bath and London, we may need to get used to expecting a more cosmopolitan target audience for the Bath property market. October 2015 - My Passion for Period Fireplaces! When you sell houses for a living you get to see “features” of all types and ages: be it polished Georgian handrails, retro 50’s chrome gas fires, 60’s psychedelic wall paper, picture rails, stone work or door cases. But for me the feature that is king, is the period fireplace. The array and variety is fascinating. From stunning Georgian show piece design by Robert Allen, to the beautiful and classic tiled Victorian inserts, to the relative simplicity of 1930’s art deco design. All created as an accompaniment to add style and beaut for their fiery contents. Marble, tiles, cast iron and stone expertly put to task to make a colourful and joyful creation. Now in 2015 they all sit proudly in the sitting rooms and bedrooms of homes all over this city. Mainly being used purely for their aesthetic beauty rather than their original purpose. May they be surrounded by fairy lights or filled with flower pots, the period fireplace is still King. I do not profess to be an expert on their design or construction but am certainly a fully paid up member of the appreciation society. A sad thing indeed to see a boarded up surround where once a fireplace stood. Londoners, who are thinking of moving out, are sometimes nervous about what ‘life in the provinces’ will be like. But to take away their anxiety, Bath is reassuringly close enough to London in lots of ways. It’s like having Dulwich, Hampstead and the Westminster Abbey all within walking distance. And for the same money as they sell their London house they can get a bigger and better house. And you can add to those advantages the top-flight schools, both state and independent, with all the countryside you could want on your doorstep. Oh and then there’s the amazing cultural life of the city. 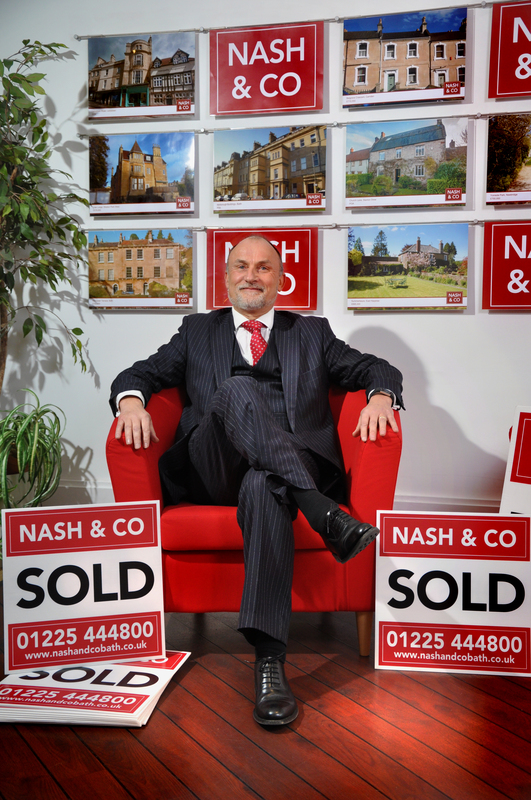 No wonder Bath is a draw but according to Duncan Nash of Nash & Co, the Bath City Centre Estate Agent, the pull of Bath is all set to become even stronger. Currently the train journey time from London to Paddington is 90 minutes. That’s assuming the train is up and running and is on time – which is not guaranteed. To get across to Liverpool St and the heart of the City adds another 30 minutes. And there’s the journey time from home to Bath Spa as well as at the other end. It all makes for a long commute there and back –especially the return leg of the journey. But that lengthy commute is about to get noticeably shorter, making London even closer to Bath. The first big improvement comes from the electrification of the line from Bristol to Paddington. Although there will be major disruption this summer as work gets underway to enlarge Brunel’s famous Box tunnel, once the service is operational with the new trains, this journey time will be just over an hour. But that’s not all - From 2018 onwards, the new Crossrail service will be up and running. Paddington to Liverpool St will then be 11 minutes and only 17 minutes to Canary Wharf. So journey time from Bath Spa to Liverpool St will be a manageable 75 minutes instead of two hours. Right now, you can easily spend an hour on the tube getting in from the London suburbs. Even the whopping £9,000 for the annual season ticket, which must be a hard pill to swallow, may not be so hard after all. Once you have taken off the annual price of a tube ticket and the savings from a lower mortgage, then it looks very do-able. All those factors are bound to have an impact on demand for Bath properties, which inevitably means that house prices are likely to rise faster than other parts of the country. Today the average price of a Bath property is in the region of £275,000. In London, the average properties are a good deal more expensive at £500,000. For those working in professions, the average price differential is likely to be even greater. That’s a nice differential. But that difference could erode if Bath prices rise faster than London prices and it’s very likely that canny Londoners have worked that one out, so they could well try to get in before the rush. ‘Only today, Nash & Co had the archetypal young couple in wanting to check out the Bath property situation’ says Duncan, ‘They are the young professional couple, getting ready to move out in a year or so, with a London flat to exchange at the same price for a four bed period house’. These benefits are certain to be felt along the length of the GWR corridor but Bath will always be the first choice for many of those looking to leave London for the good life.